Lawrence Lowery was born in Alabama in 1953 into a family of peanut farmers and Baptist preachers. He was saved at 14 in Selma, Alabama and began preaching at 15 in rescue missions in Detroit, Michigan, where his family lived at the time. When the family moved back to Alabama, Lawrence began preaching in county jails and continued in this work for several years. He attended Tennessee Temple (Baptist) Schools in Chattanooga and then went on to college and graduate school at Troy State in Alabama, the University of Alabama and New Mexico State University. For over twenty years, he taught in public schools in Alabama, Texas and New Mexico while teaching Bible classes and pastoring churches in Troy and Clio, Alabama and in Uvalde, Texas. His last pastoral work before returning to New Mexico was a Spanish mission sponsored by Alabama's Barbour Baptist Association. This ministry involved working in prisons with Hispanic prisoners in Georgia and Alabama.. 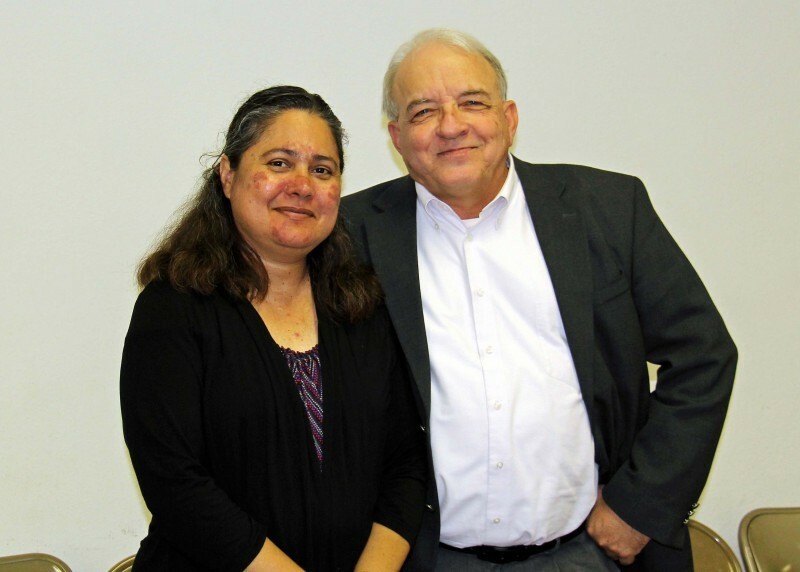 In this Spanish ministry he partnered with his wife, Jeanette, a native of Managua, Nicaragua; a graduate of New Orleans Baptist Seminary; and a veteran of Christian deaf work in Nicaragua and Hispanis mission work in this country, working for two years with the Alabama State Convention. The Lowery's are pleased to be back in the Southwest and serving at Midway Baptist Church.